The traveling, the system will cut the power automatically to stop the hoist. Reason why we are so well received. 1), Better safety control system. 3), Easy to use (install, dismount and maintain). 4), CE and ISO compliant. 5), Exceptional service and technical support. 6), Nice price, Will be within your budget. 3), Cageload capacity: 1200kg, 2000kg, 2700kg or 3200kg etc. 5), Size of cage: According to customer's need. 8). Mast section: Steel painting or hot dipped zinc. 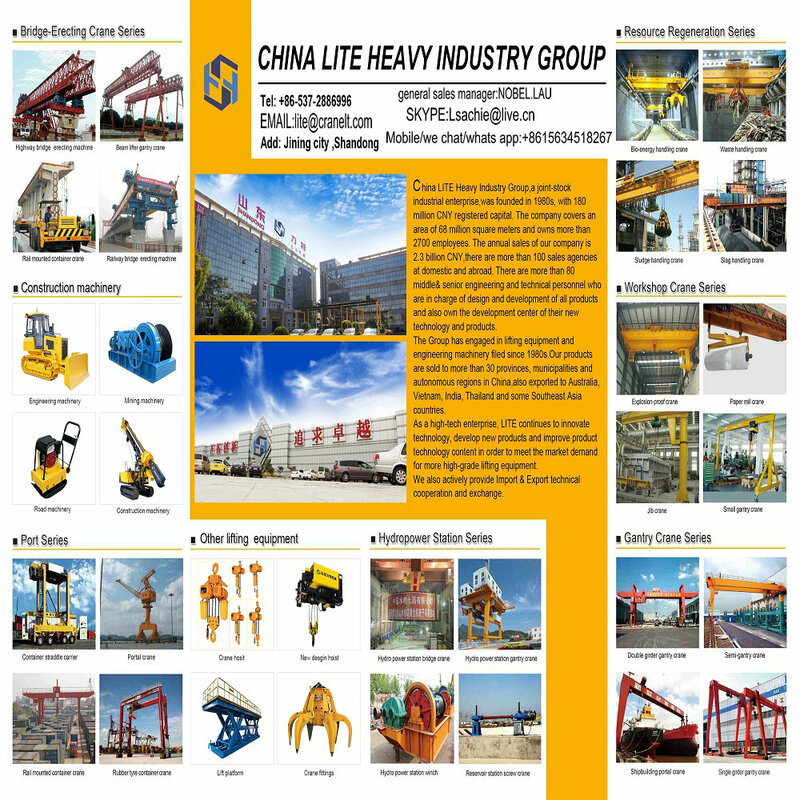 Vice President of China Heavy Machinery Association, China's green environmental protection and energy conservation enterprise, China's first single beam crane enterprise, more than 2,700 employees. 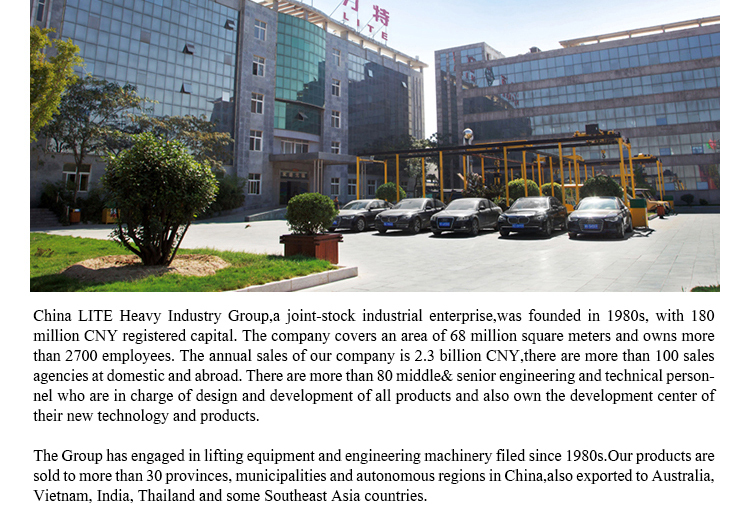 In 2017, the company has annual sales of 2.8 billion yuan, 106 world sales agencies, more than 280 middle and senior engineers, world-class high-end material handling equipment for design and development, and 110 new technologies and product development centers with innovative technologies. 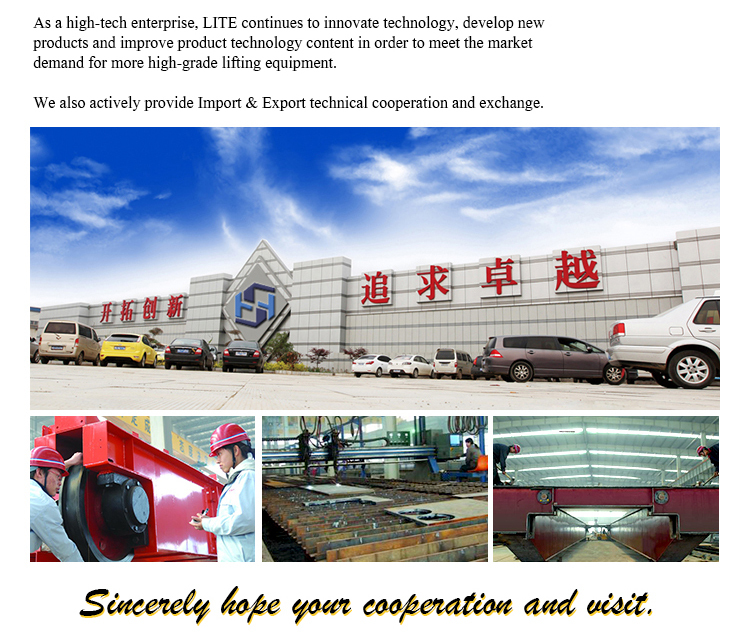 As a high-tech enterprise, LITE continues to innovate its technology, world-class product technology, using environmental aerospace, power plants, railways, terminals, mines, factories.Production equipment capacity: the company produces world-class intelligent robot welding equipment, intelligent machining center manufacturing, MG gantry crane 5t-280t, double girder bridge crane 5t-680t, shipbuilding crane 5t-2800t, CD electric hoist 0.25t-120t It is one of the top 50 enterprises in China.Sincerely hope to cooperate with you and come. 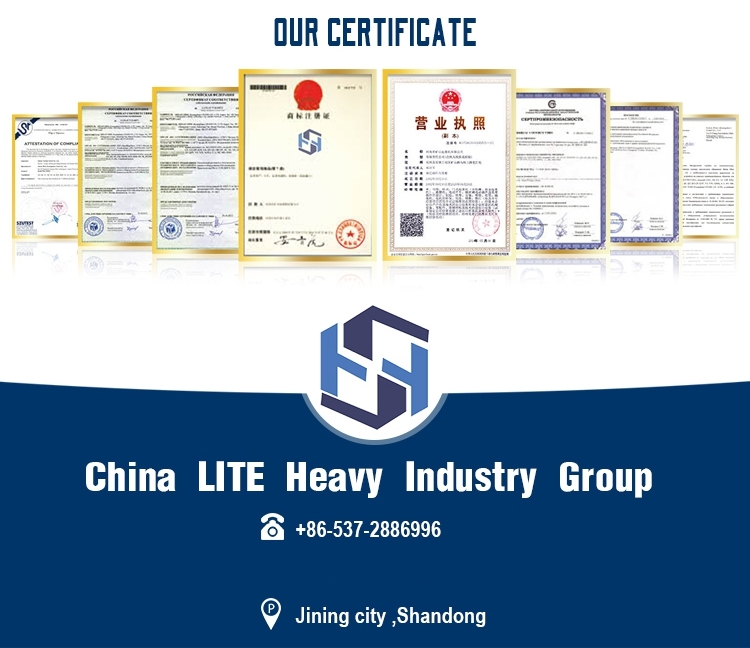 For your service: high quality and low price products, only need to provide workshop drawings, marked tonnage size, lifting height, span, voltage, use environment and process, our company will design according to your needs, precision manufacturing for you Cooperative services, Recruitment agents around the world. Technical exchanges import and export cooperation, a lifelong friendship, welcome you to visit China.